There are an estimated 30 million white-tailed deer in this country – 100 times more than a century ago, and in states like Virginia, predators that used to control their populations are gone. That leaves humans to manage herds of deer and the Commonwealth is trying to come up with a new plan to do that. Sandy Hausman has the first of two reports on the topic. Native Americans and early settlers depended on deer to supply them with meat and clothing, so there was probably not much objection to hunting them, but in the 20th century, as many Americans moved to cities, another force shaped our perception of deer – Walt Disney. Today, millions of people are thrilled to see deer in their parks and neighborhoods, and they’ve disliked hunters since the day one of them shot Bambi’s mother. But the truth is that hunting is our main means of controlling deer populations – and scientists say they must be controlled. 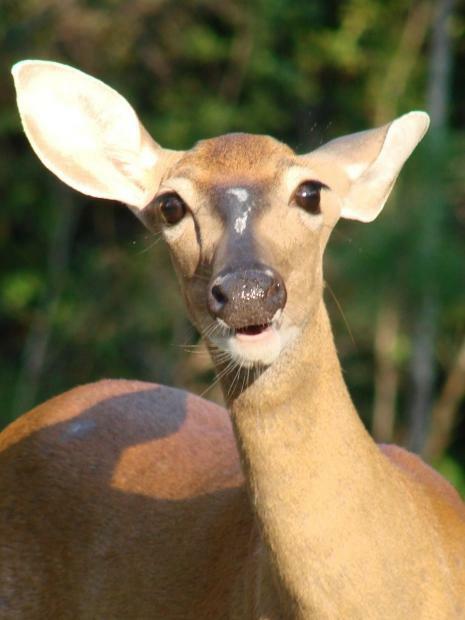 An average of five people die each year in the Commonwealth in collisions with deer, about 500 are injured and insurance companies pay out millions to repair or replace damaged vehicles. And, finally, public health experts warn that deer play a role in spreading Lyme Disease and other tick-borne illnesses. The job of controlling deer populations falls mainly to the states, but author Al Cambronne says hunters lobby for more animals –and there’s a whole industry standing behind them. He calls it the Deer-Industrial Complex, and he says some politicians disregard wildlife experts’ advice to reduce deer herds -- protecting the interests of hunters and the people who supply them. In our next report, we’ll look at what’s being done in Virginia to control deer populations, and how the rules might change. White-tailed deer cause an estimated 50,000 car crashes in Virginia each year, do millions of dollars in damage to farm crops, trees and gardens. Under ideal conditions, the deer population can double every year. The state counts on hunters to help keep the number of deer in check, and officials are now looking at other ways to promote healthy living with deer.